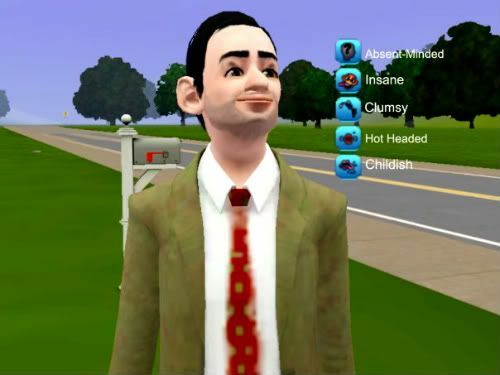 Someone created a Sim based on Mr Bean haha, including all his characteristics (you can give you Sims character traits). I just thought this was amusing! 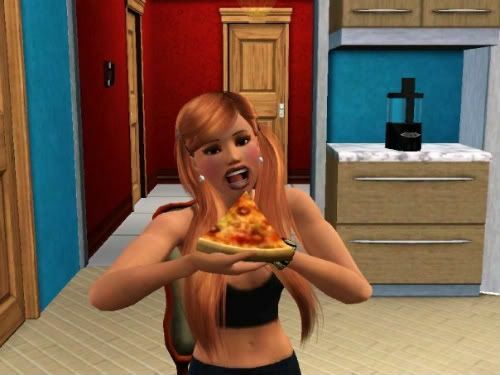 Unglam x1000 and not exactly unlike how I'd look eating pizza too (minus the awesome hair and figure). 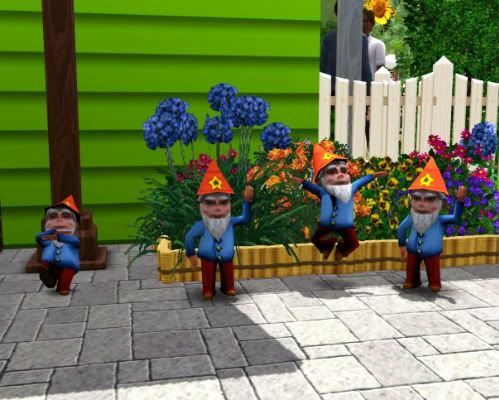 Apparently if your Sim visits the cemetery, the garden gnome will come to life after that! It'll start walking around your house and even turn on the tv him/itself. Need to try that soon. (Sims geek). Someone created a house in the likeness of a boat. So kewlzxzxz I never have enough patience for elaborate homes. I even saw like a Star Wars based house and other amazing homes. 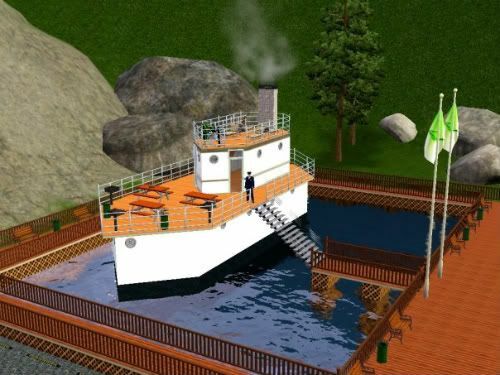 If you don't play Sims 3 yet, you should. Do you know what you're missing out on?! Making babies, divorces and heartbreaks (extremely unethical ones), killing people, succeeding in school.. etc. A.k.a ensuring your Sim has a way more interesting life than your own one. It's Rudy's birthday today. I am looking distinctly beach party-ish (I like to believe so anyway) because the planned location is Cafe Del Mar. But it is raining. As a result I am now trying to look un-beach party-ish in case we wind up going elsewhere. Exciting life right here. 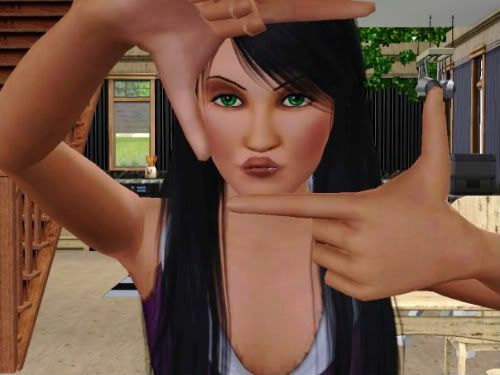 Going to play Sims3 (again).